Towards the last season of Game of Thrones and given the fact that we will not get a trailer, we gotta take everything that we get. This means that we start with poring over cryptic shots of Arya Stark and Jon Snow from the new HBO trailer, so be it. Yes, we do have new footage to show out. It’s a piece of a trailer combined together by HBO to feature everything that’s going on in 2019. That’s a lot but most people are bothered about Game of Thrones. Game of Thrones is the biggest show in the world and we need to take in every drop of it before it vanishes off our screens forever. And that day is approaching us, so we better start planning. The best thing about the video footage released is that it shows the ice wall at top of Westeros getting taken down. We have seen that already. But one shot in the emotive and fast paced trailer shows Arya Stark seeing Emilia Clarke’s Daenerys Targaryen’s dragons for the very first time. Arya is really impressed and excited after seeing the dragons, just like any teenager would, for the very first time. Honestly, that’s all we can take from the footage. 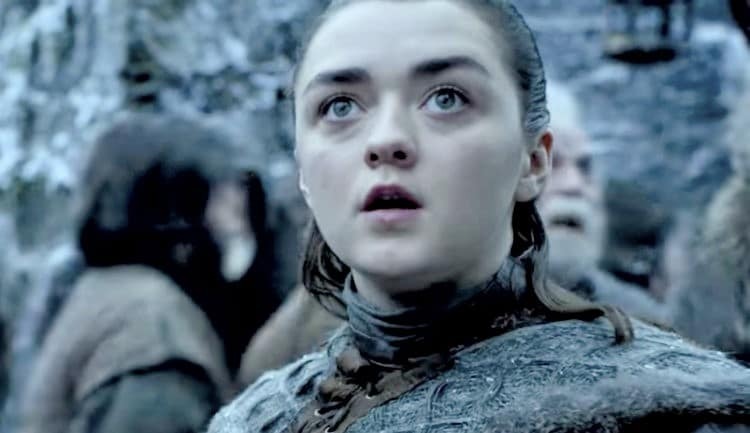 It’s gonna be really cold, and we may see a lot of fight and Arya Stark is going to be close to dragons. But we already had a clue about that, right? We will have to wait for a trailer for that before we come to a conclusion about what’s to come. It had been rumoured that they may drop the trailer at some point during the Super Bowl recently. But they didn’t. Instead, we came across a hilarious crossover between “Game of Thrones” and “Dilly Dilly” Bud Light ad campaign. They all got burned down to ashes by a dragon at a jousting match, and one of the guys- The Bud Knight’ finds himself squashed by The Mountain. He’s good at such stuff. He is, certainly one big, bad dude. Either way, it was a wonderful bit of trolling. Everyone needs a trailer. We will give you on, but be careful what you wish for. Game of Thrones arrives in April 2019.